Birds Painting Their Feathers Blue by Heleen_vd_Thillart is the winner of the Painting Design Challenge! The Painting Design Challenge has been our most popular one yet! It’s the last week of challenges for January, but get ready because our February design challenges with Bucketfeet are sure to be amazing. This week the top 11 (there was a tie for number 10!) are all stunners, featuring gorgeous paint strokes that pay homage to one of our favorite artistic hobbies: painting. 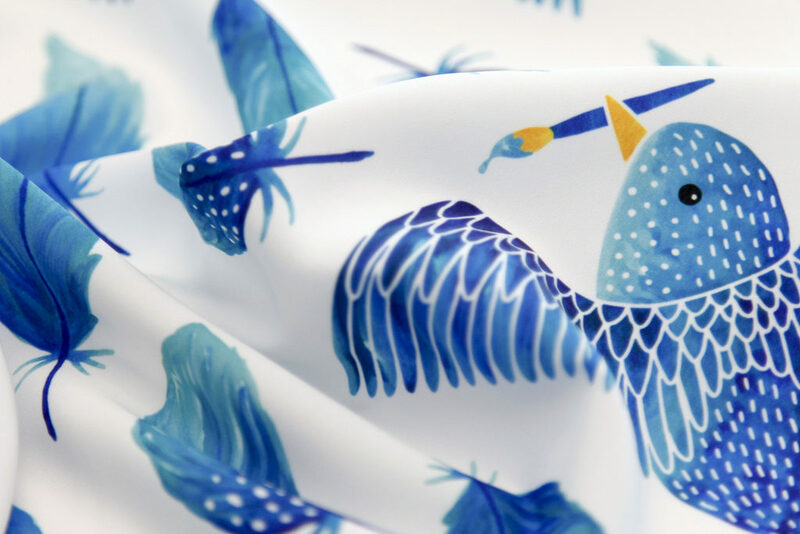 A big round of applause is in order for Dutch design champion Heleen_vd_thillart and her lovely birds painting their feathers blue! 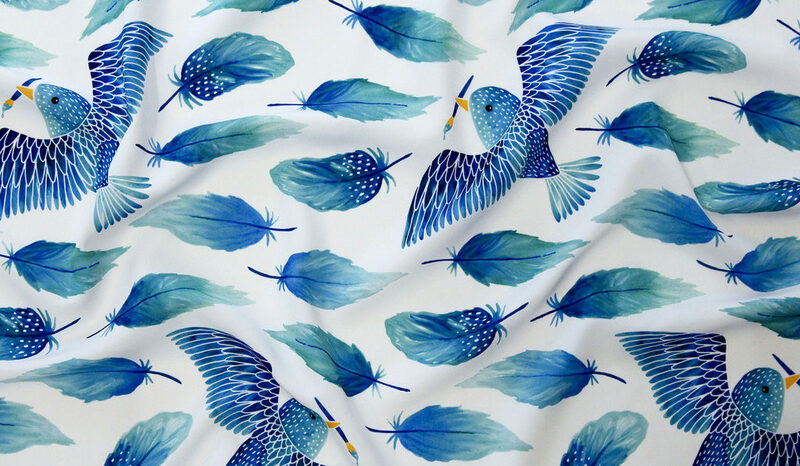 Check out the entire top 11 and shop the winners on fabric, wallpaper and gift wrap. Did you know that January is National Hobby Month? As the new year begins, we all set new goals and refocus on learning new things, improving, and challenging ourselves with hobbies. 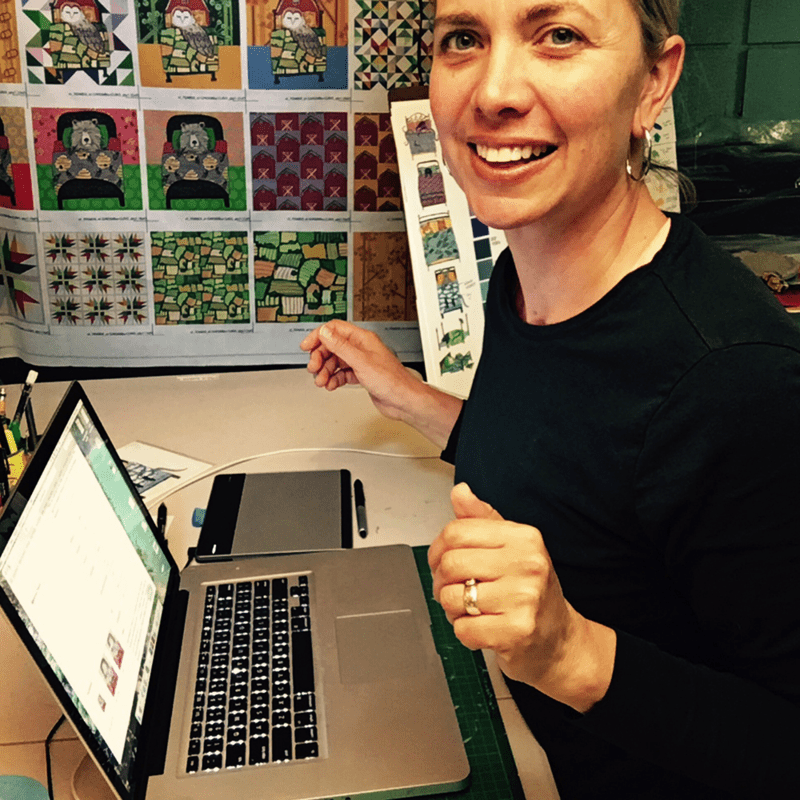 Here at Spoonflower, we are proud to enable your hobbies whether that’s design, sewing, or both! To celebrate, we’re launching a design challenge each week that’s inspired by a different creative hobby (with a twist, of course). Are you up for the challenge? As most designers are already well aware, Pantone has released their highly anticipated color of the year — Greenery! We knew we had to pay homage to this rejuvenating tone by including it in a limited color palette contest featuring sewing (our favorite hobby of course). For the first time ever, we’re putting a twist on the limited palette restriction by allowing designers one color of their choosing! So choose wisely, folks! Download an ASE file of Greenery color palettes here to help you get started or refer to the Color of the Year standards page. Please use only hex values #88B04B (Greenery), #FFFFFF or #000000 (black, white or both) and ONE color of your choice. Only the full opacity of greenery and black will be permitted. In fairness to those who adhere to the rules, we will be notifying designers and removing entries that include more than the permitted colors, or that use the colors incorrectly. Entries will be previewed at the fat quarter size: 21″ x 18.” Submissions close December 27 at 3 p.m. Eastern, Voting begins December 29. As part of our new Meet the Designer series, today we’re introducing you to a designer who captures the vibrant flora and bright palette of her home city of Miami. 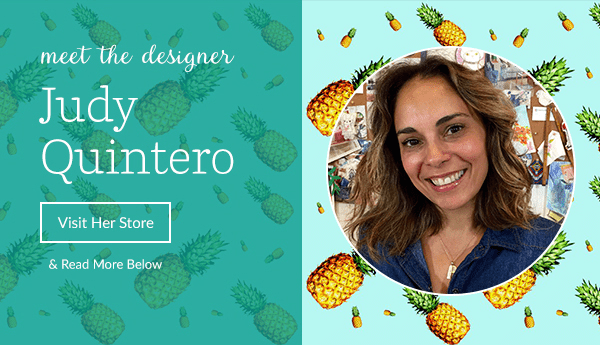 Judy Quintero (Shopcabin) is a designer and talented painter who balances energetic colors with a laid back watercolor medium. 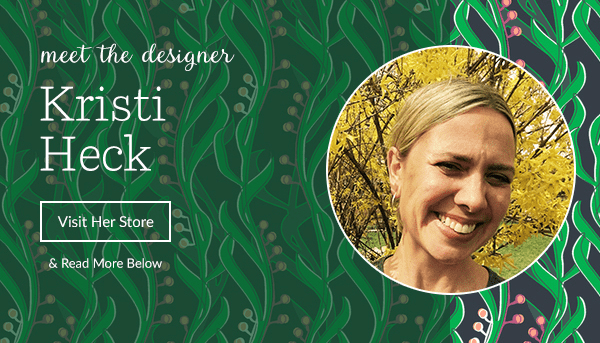 Keep reading to see what inspires this Spoonflower designer! This week our contest is built around fabric designs created using water colors and digitized using a minimal amount of software manipulation. As you look through the entries (there are 70), some of the designs were clearly created using paint and others…. well, it's hard to tell. As you vote, it's probably worth keeping in mind the theme and letting your sense of fidelity to theme — as well as the beauty of the patterns — guide your choices of favorites. But the most important thing, as always, is to have fun and find inspiration.